Don’t look for the sea in summer! It is enough to visit Leonardo Aqua Complex and you will be fascinated! It is a small oasis with outdoor pools, where you can enjoy unobtrusive tranquility in a romantic Mediterranean-style atmosphere, get sun tan under the warm mountain sun, taste delicious Italian specialties, steal time for yourself or give joy to your children! 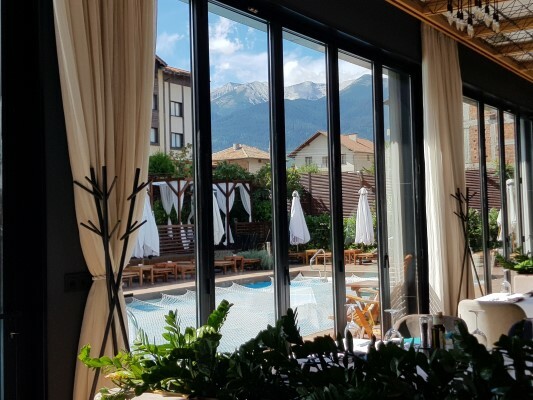 The neat Leonardo Aqua Park is part of Aparthotel Lucky Bansko SPA & Relax and it complements the 5-star offer of the modern hotel complex in the summer, from June to September. 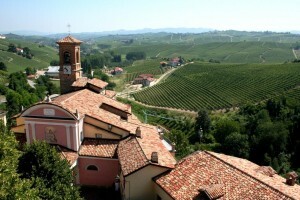 It is located near the two hotel bodies, about 10 meters from the hotel’s main entrance. There are two outdoor pools . – for children and adults. 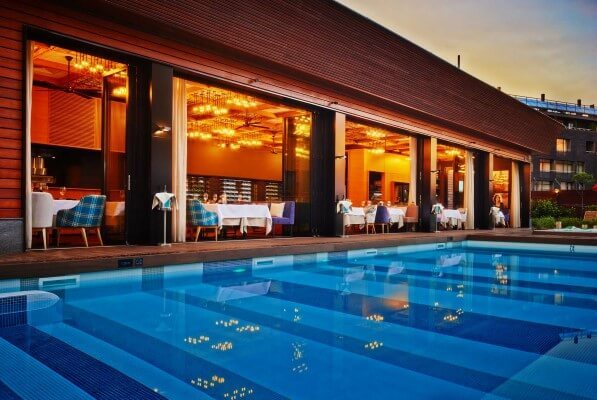 Next to the pools there is a deluxe restaurant with Italian cuisine which is a pleasure for lovers of fine dishes as well as for people who love tasty pizza and freshly prepared pasta. The perfect service in the restaurant and the elegant interior complement the feeling of exclusivity. The aqua complex is filled with light colors, the furniture is made of natural wood and beautiful thujas and natural greenery brings freshness and aroma. The lounges are made of teak wood and the tents for two provide privacy and desired intimacy for couples. In addition to the lounges and the tents, there are white umbrellas and awnings and you can leave the refreshing cocktails and meals ordered from the restaurant on the comfortable tables. The water in the pools is kept at a temperature of 29 °C so even the little ones can dive in without limitation. Mineral water from natural mineral water sources near Bansko is periodically added to the water in the pools. As an attraction you will notice a professional underwater sounding in the pools which complements your experience. The small pool is for children and is 57 cm deep. There is a water slide and splashing water mushroom. Depth in the pool for adults starts at 1.45 m and reaches 1.60 m.
For the peace of mind and safety of the guests, there are licensed lifeguards. Normative indicators of the water in the pools are monitored daily. 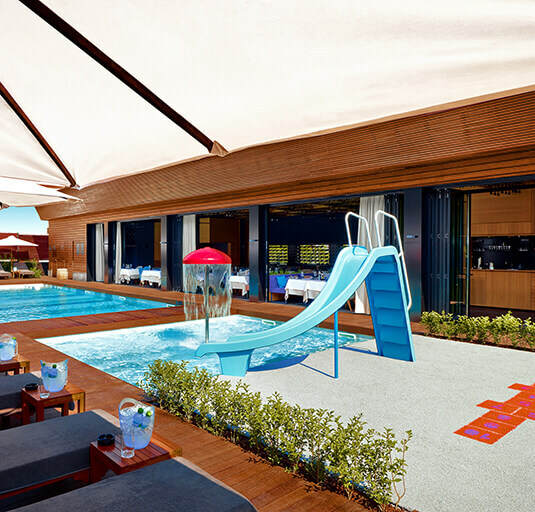 If your choice for the summer is Leonardo Aqua Complex, for 12 leva per day, you will get: A full-day usage of an individual lounge or tent for two, umbrella, towel and 1 bottle of water. Children not taller than 110 cm enter free of charge and taller or older children pay a 5 leva entrance for the whole day. There is a 50% discount after 4 p.m. In the aqua complex you have the right to multiple entry and exit within the day if you warn the lifeguard and you won’t have to pay again. Of course the pleasure won’t be complete unless you tried some of the many alcoholic and non-alcoholic cocktails. Be sure to try real and freshly prepared Italian pizza, combine it with a glass of chilled wine from Leonardo restaurant’s selection and relax on the lounge. The soothing sun caresses will give you the feeling of timelessness and happiness. The Aqua Complex works in the summer – from June until the beginning of September, no day off. It is open from 10 a.m. until 8 p.m. The perfect service in the restaurant and the elegant interior complement the feeling of exclusivity.